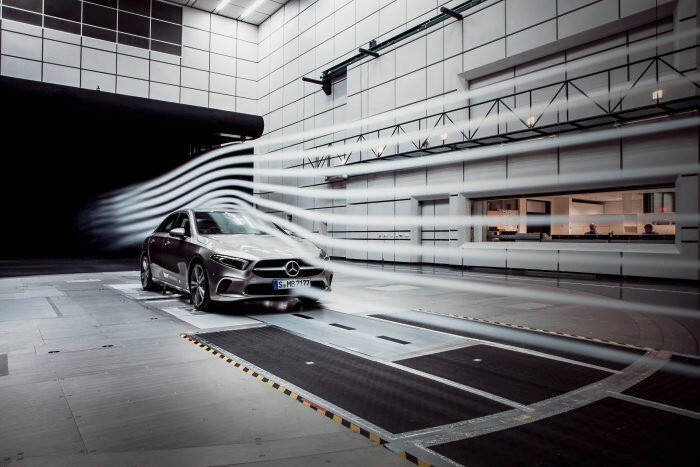 The new A-Class Sedan holds the record for the lowest drag of ay production vehicle in the world, defending the world record of the CLA 4-door coupe. The Cd value of the new A-Class Sedan, with a frontal area of 2.19 m2 is of only 0.22. World records in aerodynamics are a habit for the Mercedes-Benz engineers. With a Cd value starting at 0.25, the new A-Class hatchback also surpasses its predecessor. Good aerodynamics bring lower fuel consumption. 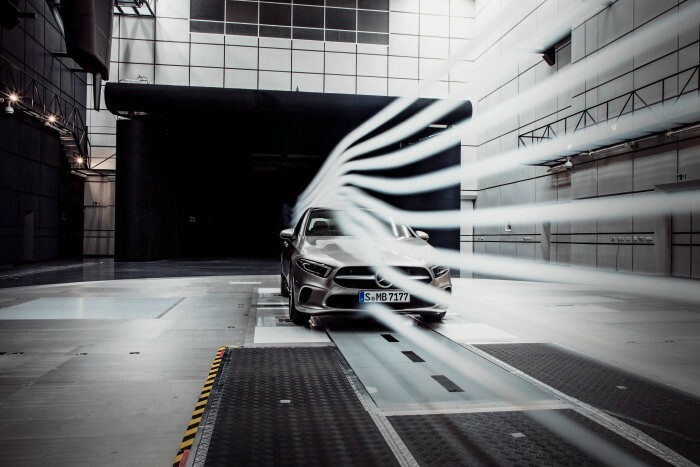 Thus the A-Class Sedan was optimized by a multiplicity of computation loops, computer-aided engineering simulations and measurements in the wind tunnel in Sindelfingen. A reduction of the frontal area despite the significantly improved interior dimensions, the extensive sealing concept and the complete paneling of the underbody all add up to the new aerodynamics record. The front and rear wheel spoilers also contribute to the ideal Cd value, perfectly routing the air around the wheels. For minimizing airflow through the engine bay, customers can also optionally order a two-part shutter system behind the radiator grille. The A-Class Saloon will hit the showrooms by the end of 2018. With a wheelbase of 2729 millimeters, the hatchback, with its compact proportions and short overhangs, is at the top of its segment in terms of headroom. 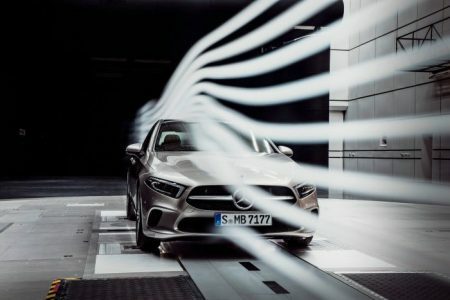 It retains the virtues of the A-Class heritage, with the efficient engines and a top-level safety provided by the latest driving assistance systems developed by the company and taken from the S-Class. There is also state-of-the-art technology fitted onboard, with the MBUX system available. The A-Class Sedan, developed in Sindelfingen, will be built in Aquacalientes, Mexcio, as well as Rastatt, Germany.